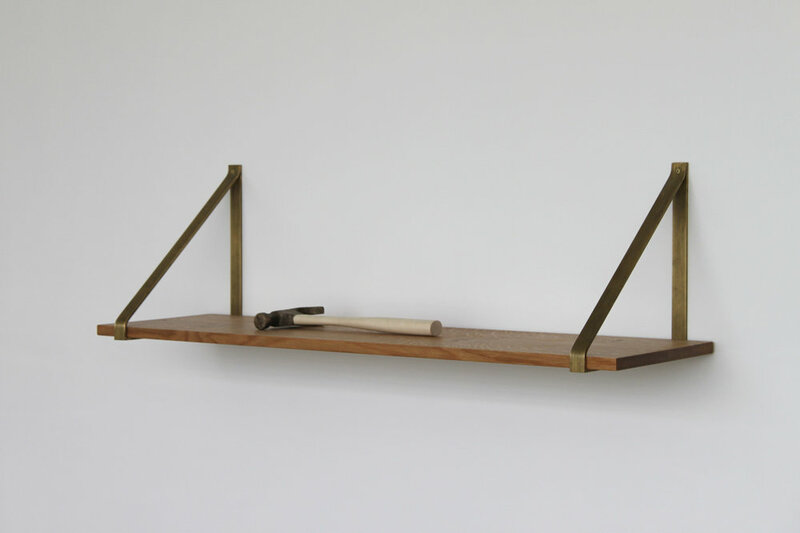 A flexible shelving system. Independent brackets make customizing widths simple. 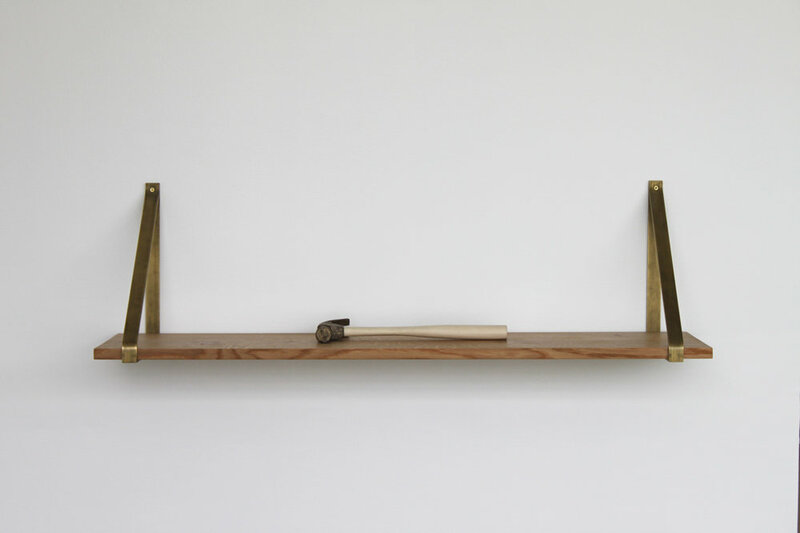 Brackets available in brushed brass or blackened steel. 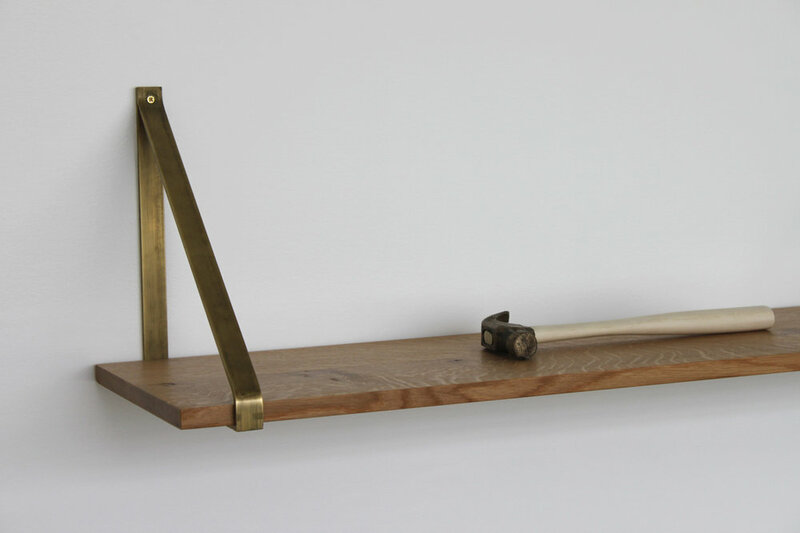 Shelves available in walnut, natural oak, oxidized oak, bleached maple or oxidized maple.